Russian President also said in a telegram to North Korean leader that he is ready to meet Kim Jong-un in the near future to discuss regional issues and bilateral ties, according to the text of the message published by the Korean Central News Agency on Wednesday. Putin's telegram came in reply to Kim's congratulatory message on the 73th anniversary of the liberation of Korea from Japan. "I confirm that I am ready to meet you in the near future, to discuss the pressing issues regarding bilateral ties and important regional matters," the telegram read. The Russian president congratulated Kim and North Koreans, adding that he appreciated Kim remembering that the Soviet soldiers and the Koreans fought together in the WWII. "I am certain that through a joint effort we, Russia, North Korea and South Korea, can further develop mutually beneficial cooperation, starting from the implementation of trilateral projects," the telegram read. The situation on the Korean peninsula has significantly improved within the last several months as North Korean leader Kim Jong Un held talks with both South Korean President Moon Jae-in and Trump. 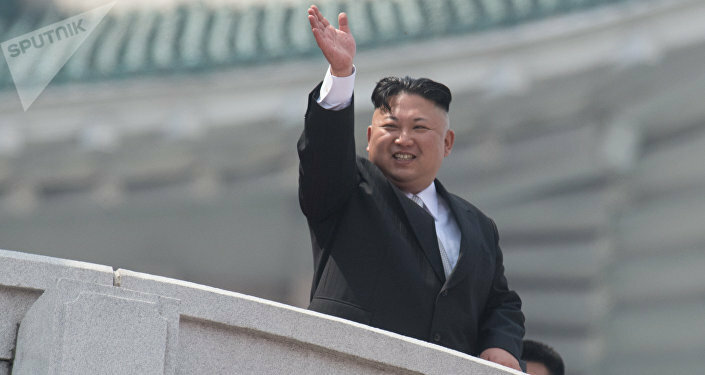 The thaw in tensions, however, has not yet resulted in sanctions relief for North Korea. In July, Russian President Vladimir Putin said in an interview that achieving complete denuclearization of the Korean peninsula will require international guarantees and Russia stands ready to help. Earlier, Vladimir Putin said that Russia was ready to take steps to establish economic cooperation contacts with North Korea. On June 4, Russian Foreign Minister Sergey Lavrov handed over an invitation to Kim Jong-un to visit Russia, possibly the Eastern Economic Forum EEF on September 11-13. Later in June, Russian President Vladimir Putin confirmed the invitation. However, Kremlin spokesman Dmitry Peskov said that the participation of North Korean leader has not been confirmed yet.